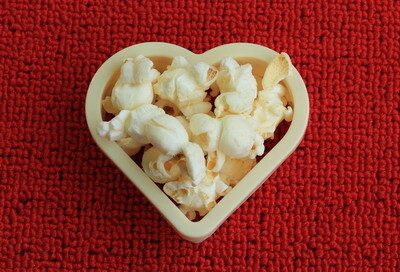 The Popcorn Board has shared some cool slow motion videos of popcorn exploding. Most of the calories from kettle corn come from the oil, not the sugar. In Native American folklore, it was believed that spirits peacefully lived in each popcorn kernel. When these kernels were heated, the spirits would get angry and break out in an irritated puff of steam. - “The History of Popcorn”, by Lexi Jacobs and "Popcorn History" by Linda Stradley of What's Cooking America.